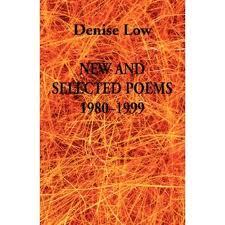 This week’s interview with Denise Low marks the beginning of the new Poet Laureate Series here at ZingaraPoet. Check back frequently for future interviews with Laureates from all over the U.S. I first became familiar with Denise Low when I was an undergraduate student at Washburn University and was given a copy of “Kansas Poems of William Stafford,” which she edited. I read the collection, found legitimacy in its pages and figured anyone who put together a collection like that was all right by me. Later, I discovered and read Low’s early collection of poetry, “Spring Geese.” I think it resonated with me because, like the poems I write, this collection contains poems about that Kansas environment and natural history. Fast forward to November 2010. 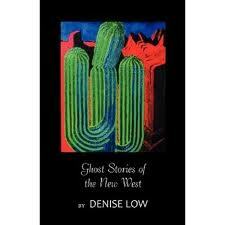 I’m living in Kansas City and learn that Denise Low, second Poet Laureate of Kansas, will be reading at The Writers Place to promote her latest collection, “Ghost Stories of the New West.” Nothing could make me miss it. The reading that night was well attended and Low did not disappoint. She is a dynamic reader and a gracious poet. I was thrilled to get a few minutes of her time to discuss poetry news and brag about my Alma Mater – home to Kansas’ first poet Laureate, Jonathan Holden. I did not know then that I would someday be asking her for an interview, but when the idea for a poet laureate series nudged my imagination, she was the first person I thought of (and, consequently, the first I asked). In this interview, directly following Pocahontas, Denise discusses her revision process, the current state of the arts in Kansas, and encourages poets who may be questioning their dedication to their craft. Her biography follows the interview as do links to her blog and website. frozen obliqueness now the last oval face. What did you take away from your experience as second Kansas Poet Laureate? Being poet laureate of Kansas was a great honor, and it helped me appreciate the educators, writers, arts administrators, and librarians across the state. Sometimes in a capitalist society the arts, especially poetry, can seem frivolous, but I came to understand how word arts connect to most skilled fluency with language. Literary uses of language impel readers to learn history and context. This is not a time in history when superficial reading will suffice. Poetry trains its readers to read closely and with a mind open to unexpected associations. It is essential to understand multi-layered communications in the public, social media, and private realms. How does poetry bring or add meaning to your life? 1. First, I became involved with poetry so young, that it is hard to tease out how it, among other experiences, add meaning to my life. It’s a spiritual practice—I do believe that learning the discipline of language is one of many paths to enlightenment. It requires engagement with reality, not neuroses. Observation and reflection are the polarity, and syntax the means along the way. So poetry keeps me connected to immediate experience, and it makes historic tradition collapse into the present moment. We use ancient words, and each use reinvigorates them. I cannot imagine my life without poetry. 2. Also, poetry helps me understand my multidimensional identity. It connects emotion, ideas, and spirit to the locus of body. And so it helps sort out the chaos—with grammar, syntax, image, and sound all coordinated into coherence. If a person visualizes a crystal, that sense of order is soothing. Likewise, and on more levels, poetry creates serenity—even poetry about hard truths. How do you protect your mental and physical creative space? I have arranged my days to create writing time—easier now that my child- and elder-caring years are behind me. The importance of my writing is an essential understanding in my marriage. I’ve claimed a small but nice room in the house for an office—it has a great view of the back yard—which is critical to my writing. My family, especially my husband, understands this is my calling. That support is invaluable. Tell me how you approach revising your work. In your 2006 interview with Miranda Ericsson, you mentioned you were thrown lifelines at crucial moments in your life. Can you elaborate on these lifelines? How did they manifest and how did they help? I was about to abandon poetry and commit to developing prose projects when I won the Kansas Arts Commission Literary Arts Fellowship in Poetry, in 1991. That program was one award every two years to a poet in Kansas, and it was $5000. That was summer support plus a computer. Then in 2007 I became poet laureate for Kansas through the KAC, again. Of course, all those programs are suspended because of politics right now. These awards really helped me have the time needed to write and publish. I have been so fortunate to see so many aspects of the writing process and how it connects to audience. My next mission is to help restore these essential programs. Currently, I am president of the board of directors for the Associated Writing Programs, and through this role I’ve been able to see a wide range of programs that serve poets and other writers. All these experiences deepen my understanding of how crucial creativity is to being a conscious, contributing citizen. Creative writing is, I believe, the deepest form of literacy. If you can write a poem, you can assemble your children’s toys, maintain your car, troubleshoot your computer, write grant applications, and select factual information from the bovine excrement in the news media. How does keeping a blog fit in with your overall creative endeavors? I’ve had some illness this summer, so I’m very behind on my blog. I want to use it as a forum for book and reading reviews, because my region and my literary genres are so underserved. Some fabulous writers get overlooked because of poor distribution and poor publicity. Blogging helps me feel empowered to present writers of merit. For starters, I’m thinking of Robert Day’s terrific book of essays The Committee to Save the World, Jo McDougall’s memoir, and William Trowbridge’s amazing Ship of Fool. These are terrific, first-rate works that will not be in the New York media. But the internet blogosphere is democratic, and I hope to take advantage of its strengths to promote some good writing. Have you any advice to share with writers who may be struggling to continue their craft? 1. Yes—first, be professional. The novelist David Bradley told me this at a critical period in my life. A few people are able to work at other jobs all their lives and keep a parallel writer’s life going. These are few. Commit yourself to taking classes, being involved in a writer’s group, and other faster ways to learn than trial and error. I see many people who put off writing during their most productive years, retire, and then expect to have writing skills in a few weeks. My mentor Carolyn Doty told me it takes ten years to learn how to write a novel. I believe her. Putting off writing for practical reasons is the most risky choice—for example, your health may not hold up, and when you retire, you may not be able to write. 2. The second bit of advice is to get up early in the morning and write—you have some good hours before work schedules. Go to bed early, skip TV, and use those early hours. 3. Third, read as much as you can of writing that you admire and that relates to your field. One of the great paradoxes is people want to write poetry in great numbers, but they don’t want to read others’ poetry, even the greats. Trust me. Reading great poetry will not stifle your own originality. 4. Write about topics that matter. Reynolds Price did a great presentation at AWP one year about looking for material that will make a difference rather than self-centered cleverness. Hundreds of thousands of books are published and self-published every year. As a writer, what contribution can you make? I find myself impelled to document as much as I can of suppressed histories and voices. This led to the Langston Hughes in Lawrence project and many others. Oh, so many projects. I have a number of articles that need revising. A book of essays about Midwestern literature—Natural Theologies—is coming out from The Backwaters Press of Nebraska later this year. 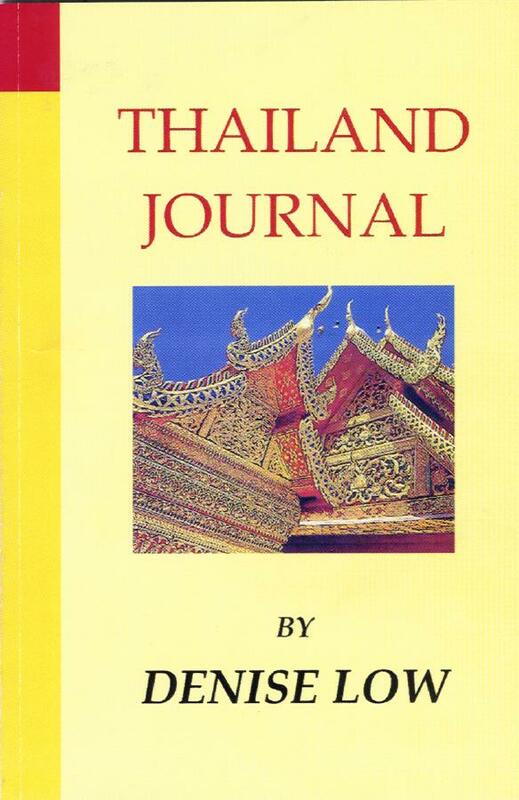 I believe this is the first critical book entirely about contemporary literature of this region. I’m finishing a grant on Cheyenne ledger art, which is amazing conjoining of image and glyphic text. I’m trying to write a memoir about my grandfather who was of American Indian background. I want to get back to some research on Langston Hughes’s family. More. This entry was posted in Poet Interviews and tagged Associated Writing Programs, Backwaters Press, Ghost Stories of the New West, Interview with Kansas Poet Laureate Denise Low, Natural Theologies, Thailand Journal, What does a Poet Laureate do?, What is a Poet Laureate? on November 29, 2011 by Lisa M. Hase-Jackson.